The Kono Team recently had the pleasure of listening to Eric Schmidt speak about machine learning at the Google campus in Korea. He described that machine learning technology is the future. The artificial intelligence that is being developed is revolutionizing not only the way we do business, but also the way we live our lives. 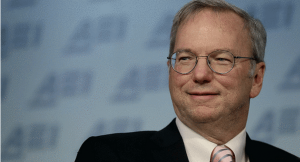 Click the link above to find out what Eric Schmidt thinks is the future of artificial intelligence. Don’t forget to start scheduling smarter with Kono!